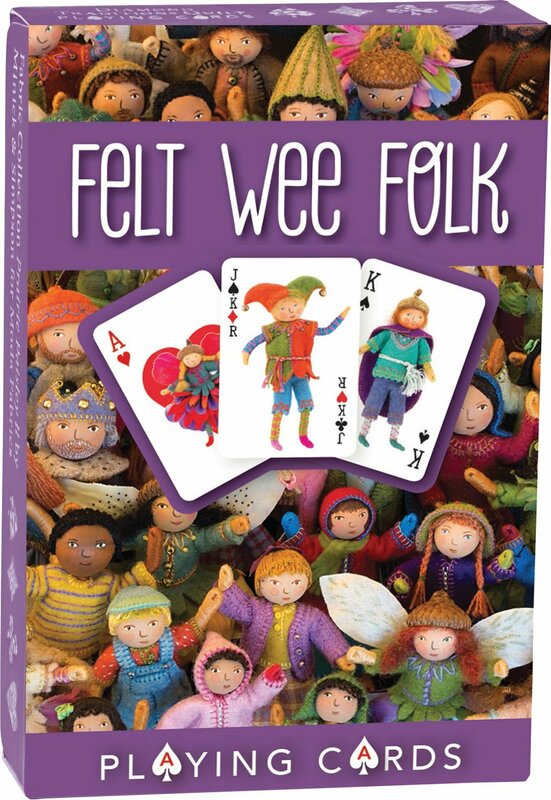 The popular Felt Wee Folk, created by best-selling author Salley Mavor, spring to life in an imaginative deck of playing cards. Each felt doll is shown in exquisite detail, so their outsize personalities shine through. So cute you will want to play with them all, these popular playing cards make a great gift for crafters and children but will be loved by all!